Custom designed and fabricated anode lifting racks for our customer. 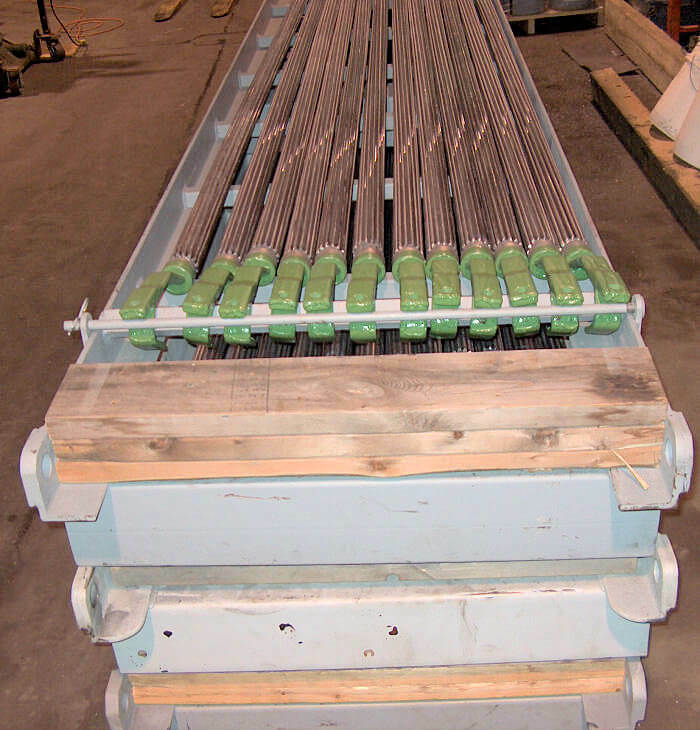 This custom steel cradle allows for lifting the array of anodes up without any bending or distortion in preparation of lowering into the plating tank. The spent anodes are lifted from plating tanks onto the same rack to be sent back for recycling.